Fast bowlers use the short ball as a legitimate weapon to unsettle any batsman. It is a fair and reasonable tactic that has stood the test of time. On that terrible day at the SCG in November 2014, Phillip Hughes appeared to misjudge the pace of the ball and looked to be through his hook shot before he was struck in the neck, clear of the protective face of the helmet. It was a shocking, freak accident and, especially for Phil’s family and friends, so terrible in its finality.In the wake of the Hughes’ tragedy there has been a disturbing number of quality batsmen being struck on the helmet. The “hit” list is not dominated by mid- to lower-order batsmen. Ian Chappell: “When you’re quickly on to the front foot it’s impossible to get inside the line of the delivery to play the shot more safely” © PA PhotosIn recent times players of the calibre of Steven Smith, Shane Watson, Michael Clarke, Chris Rogers and Virat Kohli have copped heavy blows to the helmet. When looking at footage of the incidents, you see all too clearly that all of the players who were hit were not watching the ball and they were struck on the side of the helmet. Just a couple of weeks after Hughes’ tragic death, Australia played India at the Adelaide Oval. The ground was packed but the silence was deafening the instant Kohli was hit on the helmet from the first ball he faced from Mitchell Johnson. Kohli, one of the best and most exciting batsmen in the world, was not watching the ball. If some of the world’s best batsmen are taking their eye off the ball, what’s happening to batting technique among the young, emerging cricketers? All parents want their children to be safe, but just sticking a helmet on them is not the only solution here. Youngsters need to learn to watch the ball like a hawk and to play short-pitched bowling.Junior coaches everywhere must look at what they are doing. Proper technique against short-pitched bowling starts the day the youngster picks up a cricket bat, eager to learn the game. The Chappells were five years old when they did. Former Test opening batsman Ashley Woodcock coaches juniors and seniors at University Cricket Club in Adelaide. He learnt the rudiments of batting from his older brother Steve. When a batsman plays back, the movement is back and across. From that position he can cut, pull or hook. Shots developed from the forward defence are the off and the cover drives and shots off the pads. Among the list of players who accompanied Favell on those trips were Garry Sobers and Barry Richards. Both men had a back-and-across first movement. Those basic movements are important, all done while never taking your eye off the ball. Against fast bowling a back-and-across first movement allows the batsman to get in behind the line of flight. If the ball is wide he can allow it to pass, but he can hook a short ball that is passing over leg stump if he is back and across his stumps, with his head inside the line of flight. This technique is terrific because even if he makes a mistake and misses the ball, his head is inside the line and out of harm’s way. England’s Colin Cowdrey scored centuries against West Indian speedsters Wes Hall and Charlie Griffith in the early 1960s. He likened the challenge of facing a fast bowler to be akin to a boxer moving his feet swiftly, never taking his eyes off his opponent, easily swaying away from danger. 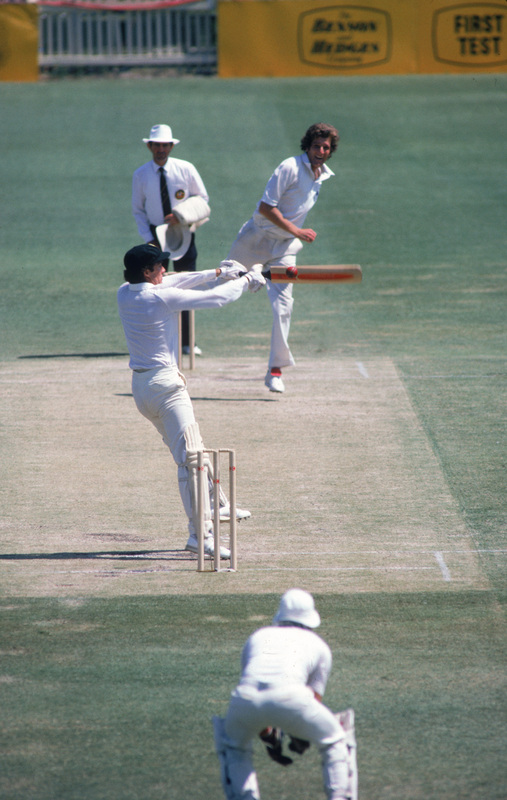 Ian Redpath, a former Australian Test opener, rarely hooked the ball, yet he scored three centuries in 1975-76 against West Indies, whose attack included Andy Roberts and Michael Holding. 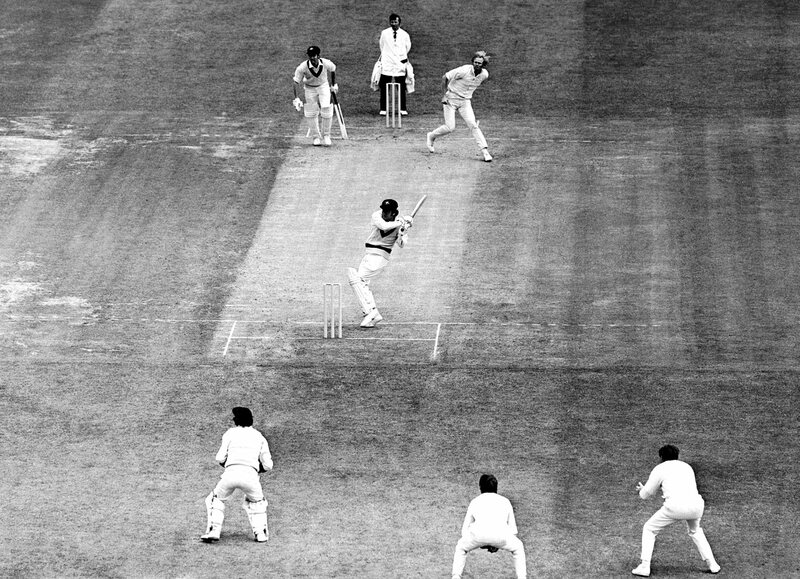 Redpath’s method was make the West Indies bowlers bowl to him. Anything short, shoulder to head high, he swayed out of the way, waiting for a ball of full length to drive for four. It is folly to think the helmet, however innovative and strong, can fully protect batsmen. Last Friday, during the elimination final of the Matador Cup at Drummoyne Oval, New South Wales opening batsman Daniel Hughes was struck on the side of his helmet as he attempted to hook a short ball from Victoria’s Peter Siddle. Hughes fell to his knees as concerned fieldsmen rushed to his side. The medical officer at the ground, Dr John Orchard, immediately ordered Hughes to take a concussion test. After undergoing the test, Hughes (retired hurt on 23) was ruled out of taking further part in the match. A “concussion substitute” (Nick Larkin) took his place. Fellow NSW batsman Nic Maddinson replaced Hughes in the order. He too was struck a blow on the helmet and was assessed under Cricket Australia’s new Concussion and Head Trauma Policy by medical staff on the ground and allowed to bat on. He played on and belted a match-winning 86. Bob Simpson, a former Australian Test opener and captain, was adamant that technique against fast bowling generally seemed to be lacking. “I think the helmet gives a batsman a false sense of security,” he said. Don Bradman reckoned the most important aspect of batting was to watch the ball. Arguably Australia’s best batsman since Bradman, Greg Chappell, nowadays Cricket Australia’s talent manager, said the bigger issue is that the helmets are now heavier and cause players to stand more upright to manage that weight. “This puts their weight back on their heels more than the players of the past who were more on the balls of their feet,” Greg said. “They find it harder to change position quickly so they are more prone to get hit than a nimble-footed player. Greg sets up a coaching session by bowling from the net of a tennis court to the youngster batting on the base line. Scoring zones are from the back corner of the net to mid-pitch both sides. He lobs the ball to the batsman and direct them to a target. For example, if the ball is lobbed full and straight, Greg will say, “Okay son, I want you to hit it to the net straight past me”. Martin Chappell gave his three boys this advice: “You have a bat in your hand for one reason and one reason only and that is to score runs. Learn to use the bat properly and you will never get hit.” Greg believes good footwork is nothing more than developing the ability to shift one’s body from one position to another to free one’s arms to hit the ball to the intended target area. “This is what Bradman did better than the rest of us,” he said. For the sake of the health of our international and emerging batsmen, let’s hope the administrators take heed of the sound advice from three of Australia’s batting legends. By all means, let’s have lighter, stronger batting helmets, but the very first step in safety for batsmen against any bowler is to watch the ball. The ICC can’t afford to take its eye off the ball over this safety issue. Safety for batsmen is a global priority. 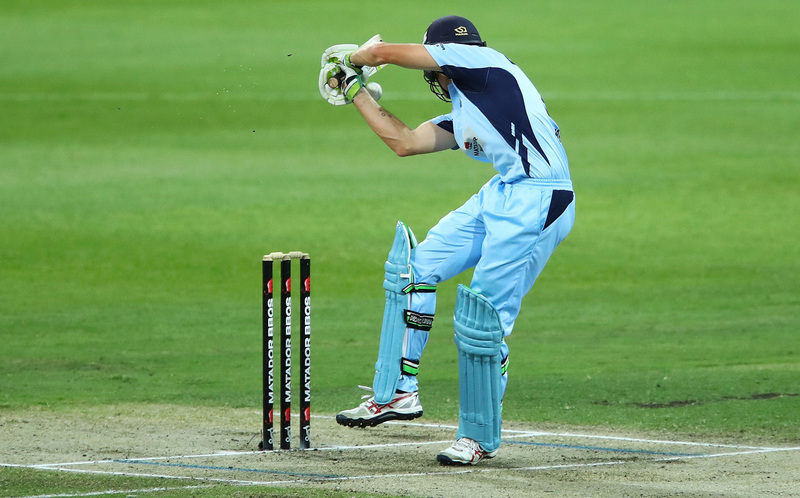 Batsman getting hit on the head – whether while wearing a helmet or not – are vulnerable to serious injury. Proper technique when playing the short stuff is paramount and every batting coach from the grassroots to the Test arena needs to take heed. Ashley Mallett took 132 wickets in 38 Tests for Australia. He has written biographies of Clarrie Grimmett, Doug Walters, Jeff Thomson, Ian Chappell, and most recently of Dr Donald Beard, The Diggers’ Doctor…..© ESPN Sports Media Ltd.